Drop Ship: This product will ship directly from the supplier. The compact Reef Octopus Classic 1000-HOB is a proverbial favorite amongst hang-on back protein skimmer users providing beneficial filtration for aquariums up to 130 gallons. With it’s unique design, the pump is mounted externally and under the actual skimmer body allowing for much less room needed behind the aquarium and less heat-to-water exchange. 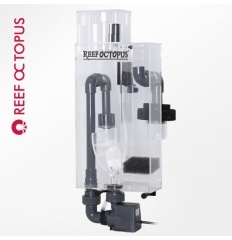 The Reef Octopus Classic 1000-HOB is constructed of high-quality acrylic and equipped with the new highly efficient Aquatrance pinwheel pump that produces an ideal mix of water and air for optimal waste removal.